Humphrey Bradstreet arrived in Ipswich in 1635. 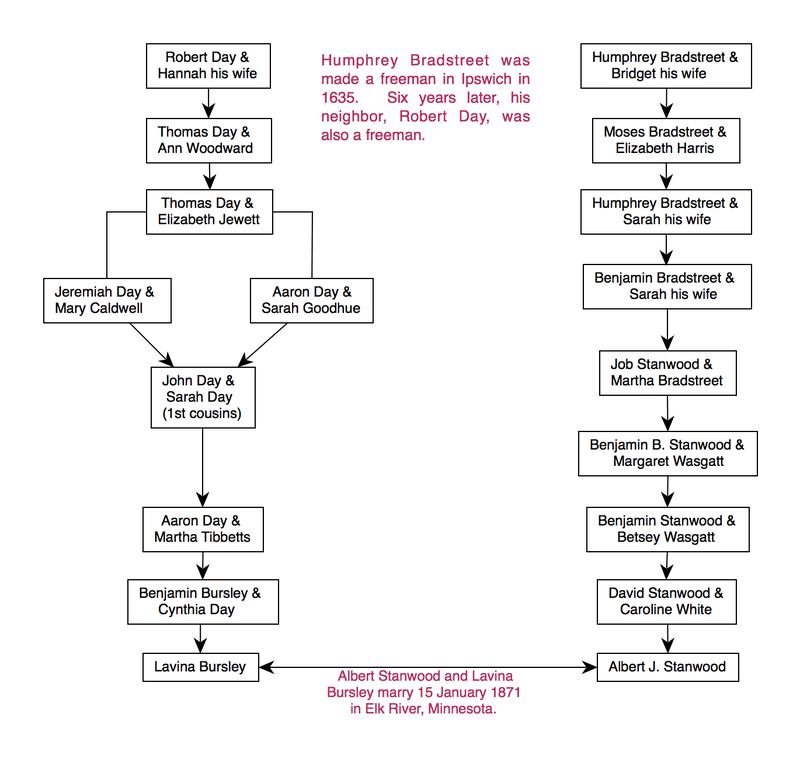 From this will, we know that Humphrey Bradstreet not only knew Robert Day, but had also lived nearby and conducted land transactions with him. He would never have guessed that two and half centuries later, his sixth great grandson, Albert J. Stanwood, would meet and marry Robert’s fifth great granddaughter, Lavina Bursley, in the small town of Elk River in Minnesota. 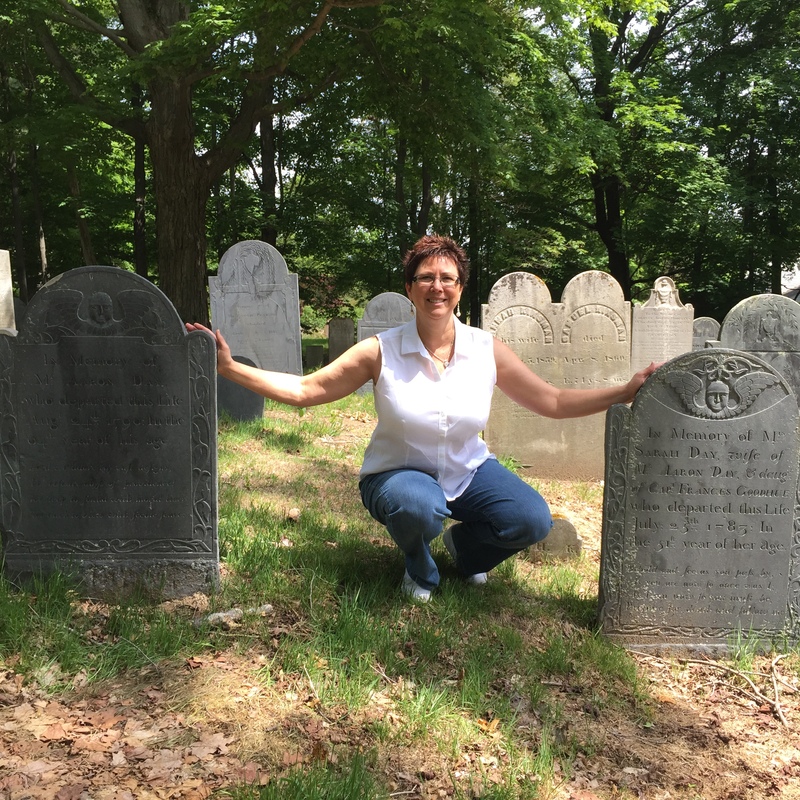 Albert and Lavina are my second great grand parents, and Ipswich, the home of both of their ancestors, one of my favorite places. Ipswich Town Historian led a walking tour of the town in June 2015. 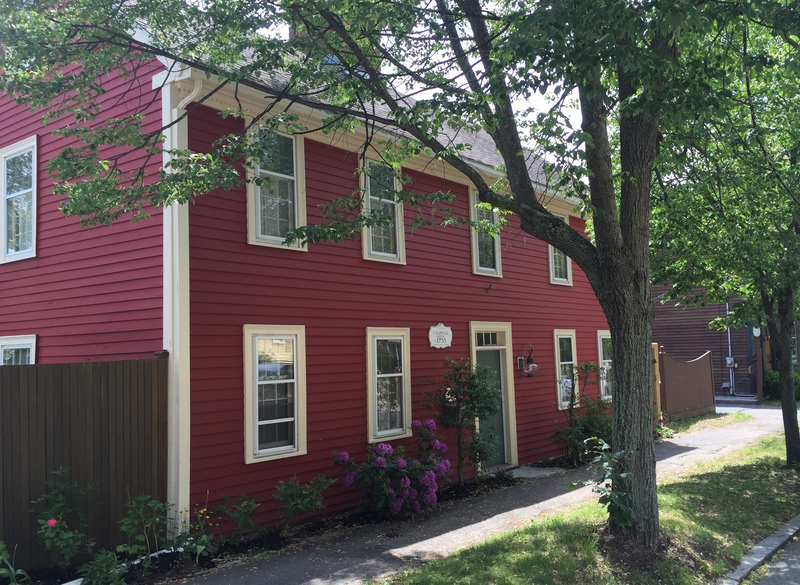 The Caldwell house was home to Lavina (Bursley) Stanwood’s ancestors. 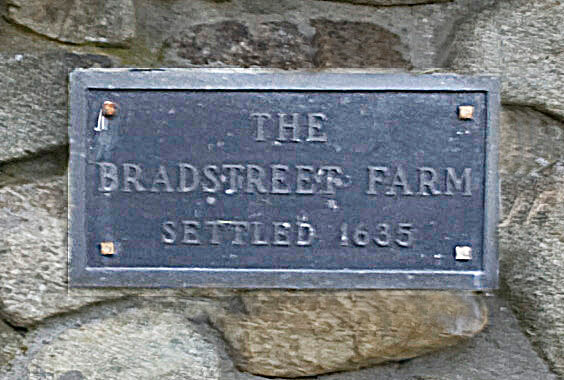 The Bradstreet Farm was originally in the town of Ipswich but was later annexed to neighboring Rowley. 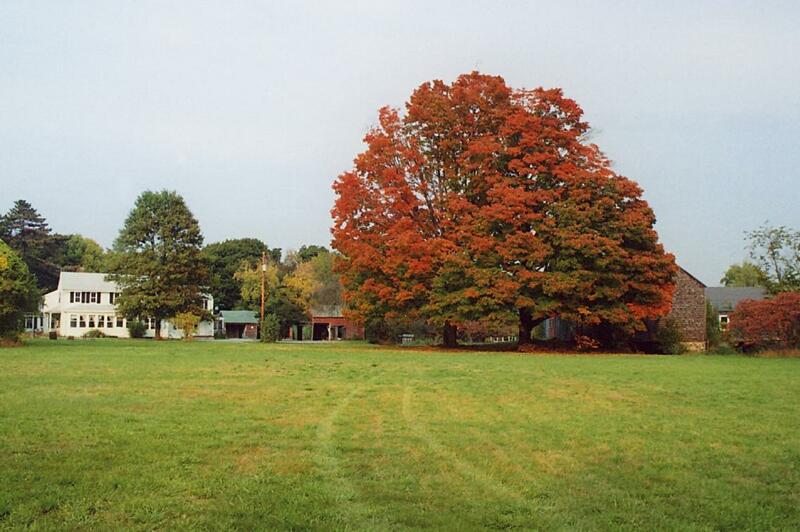 This portion of Humphrey Bradstreet’s land remained in the family until 2007! This entry was posted on Sunday, July 26th, 2015 at 5:17 PM	and posted in Bursley, Day, My Family Lines, Stanwood. You can follow any responses to this entry through the RSS 2.0 feed.